In this review of the JBL EON612 we are going to covering 5 important areas which include key features, what we like, pros and cons, who is this product best suited to and what customers who have bought the speaker are saying about it. 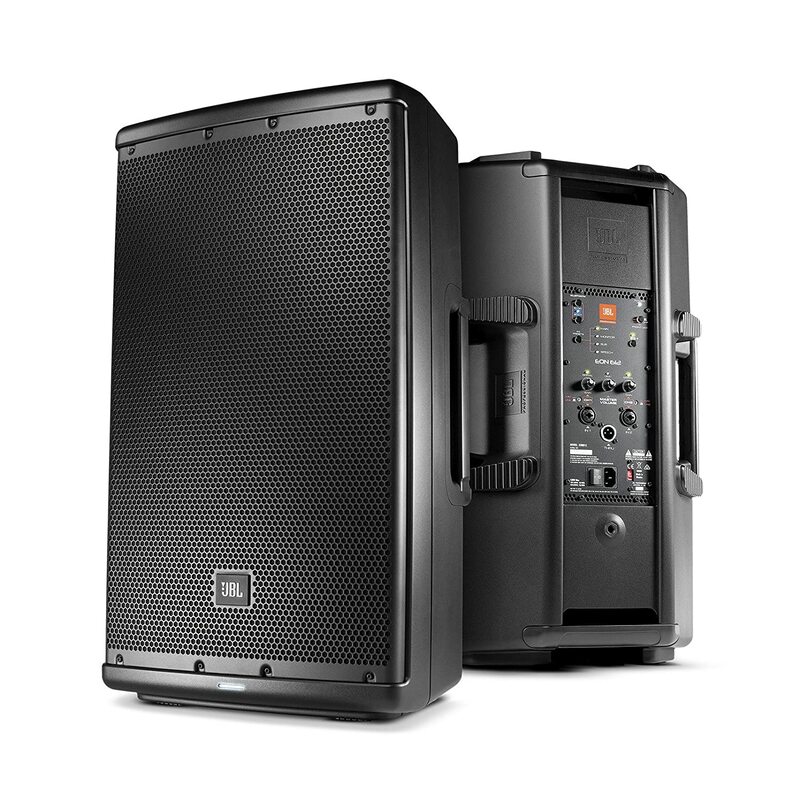 Easy to Transport – Not only is this speaker durable and housed in a sturdy cabinet, there are also 4 ergonomic handles that allow for easy transportation between venues. The handles on the speaker are positioned in a way that makes carrying and movement easy whether you are moving up stairs or staying on a flat surface. Another great perk to traveling with this speaker is that you can easily load it on a plane or take it on a train with you. The speaker cabinet is durable and houses the internal components in a way that prevents damage so you can get to your gig without worry of a busted speaker. Easy Setup – Once at your venue and the speaker is moved into position, you can easily set it up without a hassle. Hardware mounts are integrated into the speaker cabinet making them easy to set up in any venue. Indexed feet are included to help with storage and transporting the speaker to various locations. You can easily stack this speaker to be used as a stage monitor, stand it up by itself, or use it in an acoustic configuration. 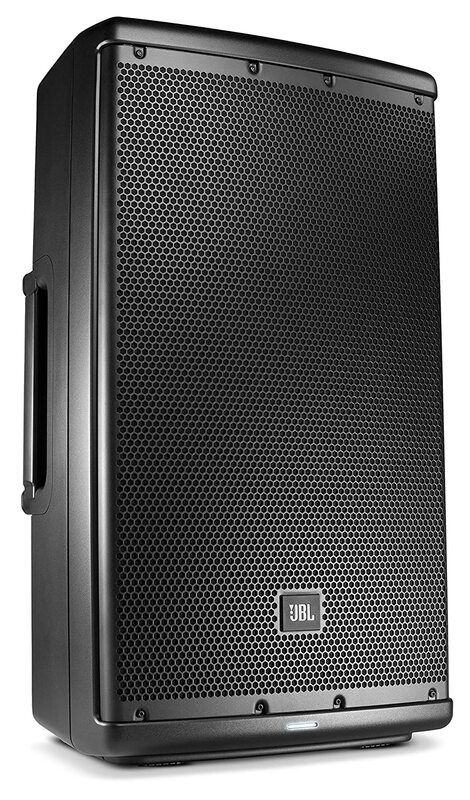 Whatever suits your fancy is permissible with the jbl eon612 model. Outstanding Sound Coverage – Another great feature is that this speaker offers 110 degrees of sound coverage and offers consistent quality sound performance. The ability to stack this speaker as a stage monitor or use it as a stand-alone speaker makes this model a great buy for those looking to perform live vocals or with acoustic instruments. 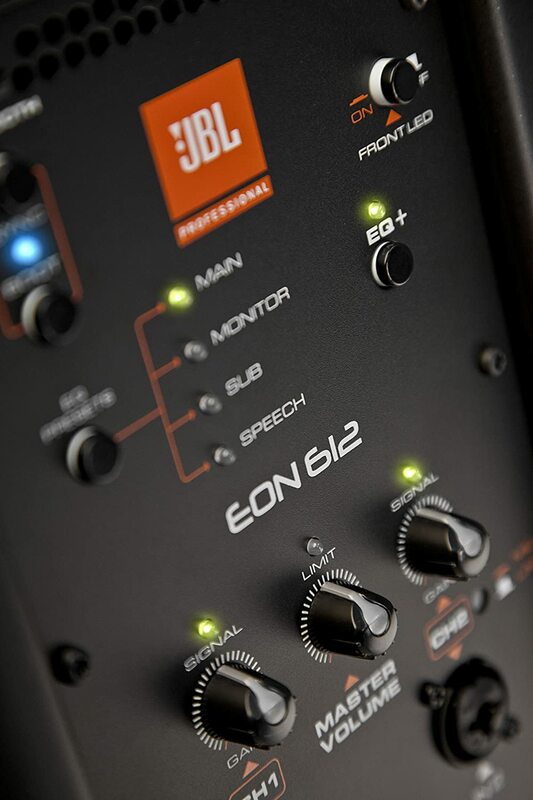 JBL is constantly engineering the latest and greatest products and the EON612 is amongst the most unique speakers on the market right now. Lightweight – The lightweight design coupled with superb sound quality sets this speaker apart from the status quo. The durable cabinet design, great acoustic technology, and professional look and sound make this speaker a great buy for the price. Acoustic Technology – The waveguide design and special fluting allows the speaker to produce a full range of sound frequencies with little to no distortion. As a result, you can enjoy a 110 degree coverage pattern, consistency in between on and off axis, and a smooth, transparent sound experience for the entire audience. Bluetooth Compatibility –When you are a DJ or a musician who is on the road consistently, you benefit a great deal from equipment that offers convenience and control. When creating the JBL EON612 Portable Speaker model, JBL engineers were intentional about creating iOS and Android supported Bluetooth technology that allows the user to adjust volume, EQ, and recall presets from their device. Now, that is just smart technology! Whether you are a piano bar singer or you host parties on college campuses, these speakers are ideal for indoor and outdoor use. Wedding DJs and musicians also benefit from this professional speaker setup even though some report that using the Bluetooth technology is not as easy as one would hope. Finally, you can use these speakers within the comfort of your own home and they work extremely well in a movie room or in an area that you want to setup a professional sound studio. Consumers love these speakers because they are affordable, offer superior sound, and can be used alone or with additional equipment. The versatility that these speakers offer is unlike most other models in this price range which makes the consumer feel as if they are getting a great deal. The JBL brand promises a great sound experience which is what consumers consistently report from the JBL EON612 Portable Sound System. 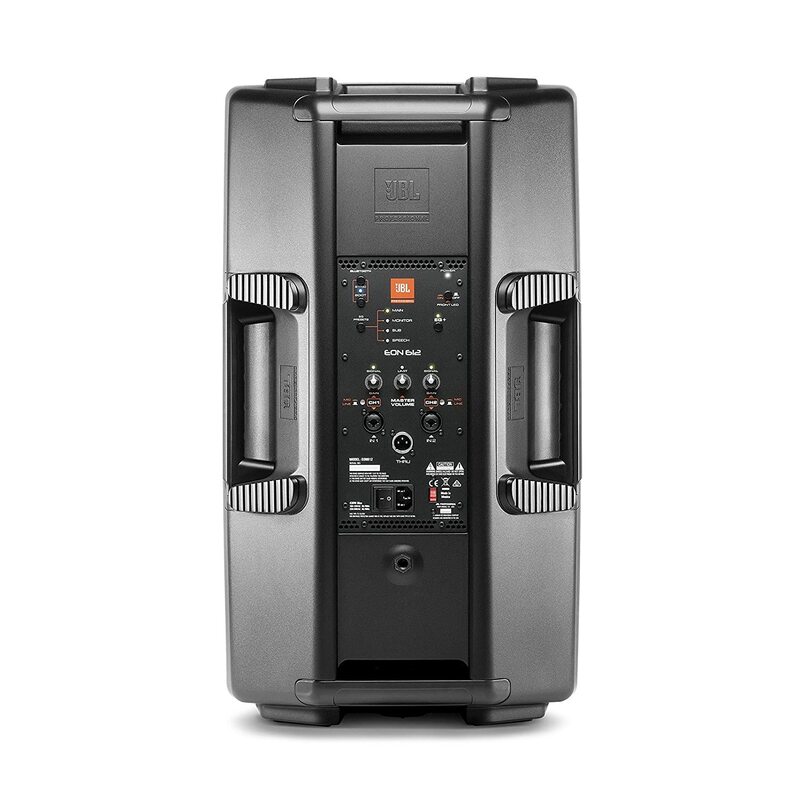 Worth every penny spent, the JBL EON612 Portable Speaker System is easy to move around from place to place, is professional and can be used by DJs, musicians, and sound engineers as well as within the comfort of your own home. For someone looking for a professional-grade speaker than can offer versatility, bluetooth technology, and easy transportation, the EON612 speaker is the way to go!